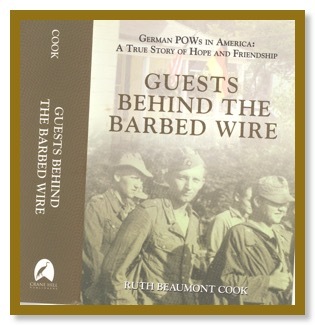 It is an honor to introduce Ruth Beaumont Cook, author of Guests Behind The Barbed Wire, as our guest blogger. Ruth’s book chronicles the building and operation of Camp Aliceville in Aliceville, Alabama, the largest German prisoner of war camp in the United States. The book presents a never-more-relevant look into the nature of war, peace, and the principles of human dignity. Claire Datnow’s book, the Nine Inheritors, explores the theme of heritage—how it is passed on or lost from generation to generation, and how the choices individuals make can be influenced by historical events beyond their control. The German prisoners of war in Guests Behind The Barbed Wire reflect this theme as well, but from an entirely different perspective. Many Americans are not aware that nearly 400,000 German POWs were brought to this country between the spring of 1943 and the end of World War II. The detention camps that housed them were scattered across the United States—first in isolated areas, then in agricultural and processing locations where they could help relieve the wartime labor shortage. One of the largest of these was Camp Aliceville, in Pickens County, Alabama. The Geneva Convention states that captured enemy prisoners are to be provided with the same living standards as the soldiers of the capturing country— for example, nutrition, housing, religious and recreational opportunities. During World War II, the United States followed the provisions of the convention carefully, hoping to ensure that American prisoners would be treated fairly by their captors. Germany signed the Geneva Convention, but Japan and Russia did not. Although American prisoners in Germany were certainly not treated as well as German prisoners in America, they were treated better than American prisoners in Japan or German prisoners in Russia. Late in the war, when the horrors of Dachau and Auschwitz were discovered, American treatment of German prisoners was not nearly as kind as it had been, but it was still humane. The heritage that many former German POWs passed on to their children and grandchildren was simply this—we were treated fairly by our enemies, no matter what our leaders had done. The prisoners and guards at Camp Aliceville, as well as many of the 1400 residents of the small town of Aliceville did not choose the circumstances of their interaction during World War II, but many of them were profoundly influenced by the experience. Prisoners created works of art for their captors, and residents of the town sent care packages to the German families after the war. Many former prisoners contributed to good government in post-war Germany or became responsible American citizens. There have been reunions, during which the next generations of these prisoners, guards, and townspeople have come to know each other. When the United States was attacked in New York on September 11, 2001, many German families sent heartfelt expressions of sadness to the people they knew in Aliceville. PLEASE NOTE: The first edition of Guests Behind The Barbed Wire is sold out, but a new, limited second edition is now available from the author (ruthcook@bellsouth.net) or through amazon.com for $29.95. 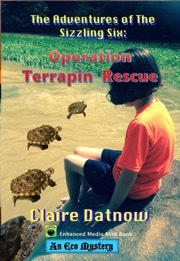 The Kindle version can be purchased for $12.99.